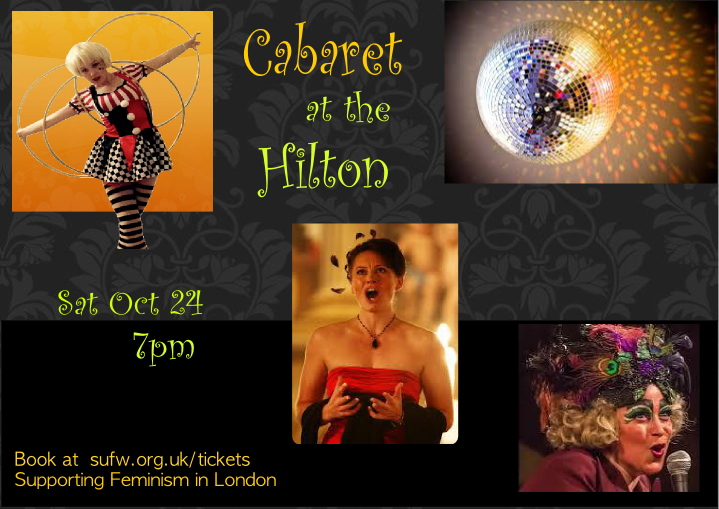 Comedy, Circus, Opera, Magic .. in a stunning Hilton Hotel Ballroom on a Saturday Night for just £15 AND it's for Human Rights! We're thrilled to be hosting the evening's entertainment for a 2 day conference on women's rights. With a line-up of award winning women performing comedy, circus, opera and more and a DJ with LED Hula Hooping this really will be a night to remember.